Crossover SUVs have become as popular as fireworks on the Fourth of July, which is why the cost of crossovers continues to increase. But there is an antidote to the high cost of being popular. The Kicks is Nissan's newest, smallest and most affordable crossover SUV. It's similar in general layout and size to other compact crossovers like the Honda HR-V and Subaru Crosstrek, but it costs significantly less — $18,540 to start for the base S trim versus $20,520 for the base trim Honda HR-V and $21,895 for the base trim Crosstrek. A top-of-the-line Kicks SR costs $20,870. The Kicks doesn't offer all-wheel drive, as some rivals do. But it does come standard with class-best fuel economy (31 mpg city and 36 mpg highway versus 28 mpg city and 34 mpg highway for the HR-V, and 23 mpg city and 29 mpg highway for the Crosstrek), class-best legroom up front (43.7 inches) and class-best cargo space behind its second row (25.3 cubic feet). It also has a smaller overall footprint (169.1 inches bumper to bumper) and a very tight turning radius (34.1 feet) versus that of its rivals, making it exceptionally easy to park and maneuver in heavy urban/suburban traffic. The Kicks was introduced as an all-new model for 2018, so other than a few trim/color changes, the 2019 carries over largely the same. It's among the most affordable small crossovers available. There is exceptional room upfront and behind the back seat. It has class-best gas mileage. Back-seat legroom (33.2 inches) is noticeably less than that of others in this class. The very small gas tank (just 10.8 gallons) makes it seem a lot thirstier than it is. It only has automatic transmission. Manual transmission would have made it more of a kick to drive. All Kicks trims come standard with identical drivetrains — a 1.6-liter four-cylinder engine that has 122 horsepower paired with Nissan's Xtronic continuously variable transmission and front-wheel drive. Though the Kicks engine has a bit less horsepower than rivals' standard engines — the Subaru Crosstrek's larger 2.0-liter engine has 152 and the HR-V's 1.8-liter engine 141 — the Kicks is quicker. That's probably because it's a bit lighter — because it doesn't offer all-wheel drive. It gets from zero to 60 mph in 9.5 seconds, where the Crosstrek and HR-V take closer to 10. And it gets noticeably better gas mileage, too. However, its gas tank is smaller than most by about three gallons, so you'll be filling up more often. Nissan markets the Kicks as an urban/suburban runabout — which is why it doesn't offer AWD. Even when it snows, the streets are usually cleared pretty quickly in downtown areas. But it does have generous ground clearance (7 inches) and suspension articulation, which isn't so much for off-roading as it is for dealing with (and soaking up) bumpy, potholed city/suburban streets. The Kicks abbreviated dimensions — it's almost 6 inches shorter overall than the Subaru Crosstrek — also enable it to take advantage of curbside parking rivals have to pass by, while the tight turning circle lets it make U-turns without stopping, backing up, turning the wheel again and then proceeding. Five two-tone color schemes with contrast color lower body trim help the Kicks visually stand out from crossover crowd. But it's this little Nissan's functionality that really stands out. Front-row legroom is greater than that in some full-size cars, and there's twice as much cargo capacity behind the back seats as there is in most midsize sedans. And when you fold them down, that capacity more than doubles — from 25.3 cubic feet to 53.1 cubic feet. The Honda HR-V has a bit more total capacity (57.6 cubic feet), but you have to fold the second row down to access it. With its second row in use, the Honda's cargo capacity (23.2 cubic feet) is a bit less than the Nissan's. The Kicks' main deficit is its fairly tight back seat, just 33.2 inches — which is about the same as you'll find in most compact sedans, and less than in the Crosstrek (36.5 inches) and HR-V (which has an exceptional 39.3 inches). You can get some very high-end audio equipment in the not-high-priced Kicks, including a Bose Personal Plus surround sound system with a six-channel amplifier and eight speakers (two built into the driver's headrest). There are also three ways to connect to the audio/infotainment system: Apple CarPlay, Android Auto and Nissan's own system, NissanConnect. All trims come standard with a 7-inch color LCD display. A 360 degree bird's-eye-view exterior camera with moving-object warning technology is available, too. The slightly tight back-seat legroom aside, the Kicks offers more than most in this class — and for less. 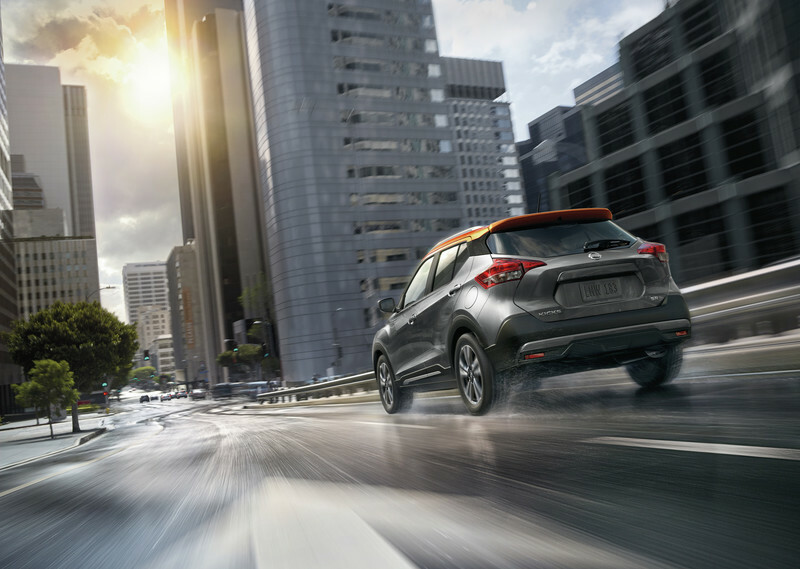 View the Nissan Kicks this week. Eric's new book, "Don't Get Taken for a Ride!" is available now. 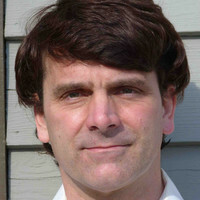 To find out more about Eric and read his past columns, please visit the Creators Syndicate webpage at www.creators.com.